So this week, I have a combo of things I’m loving! And I have one of them to giveaway to one lucky reader….so read on…. I’m loving my new purse I got while visiting Branson and the Coach Factory store. I was sold, the minute I saw the color. Next up……my new iPhone 4! How did I ever live with out an iPhone? lol I knew I would love it, but I didn’t know how MUCH I’d love it. I’m able to stay connected and get work done when I’m away from home. Dragon Dictation – Thanks to Kristen for reminding about this gem! You can speak/voice record text messages, Facebook status updates and tweets and Dragaon Dictation will type it out for you! OH SO COOL! and the best part…it’s FREE! Camera+ – will make your iPhone camera work like a SLR. $1.99 well spent if you’re serious about your pictures. Instagram – makes mobile photography social. You can follow your friends, they can follow you and comment on your pictures. You can also instantly send to Facebook and Twitter at the same time. My only “dislike” with my iPhone (as with many people) – is the auto correct feature when typing. It seems to be more of a hindrance than helpful. I have a bit of advice on this topic…………. 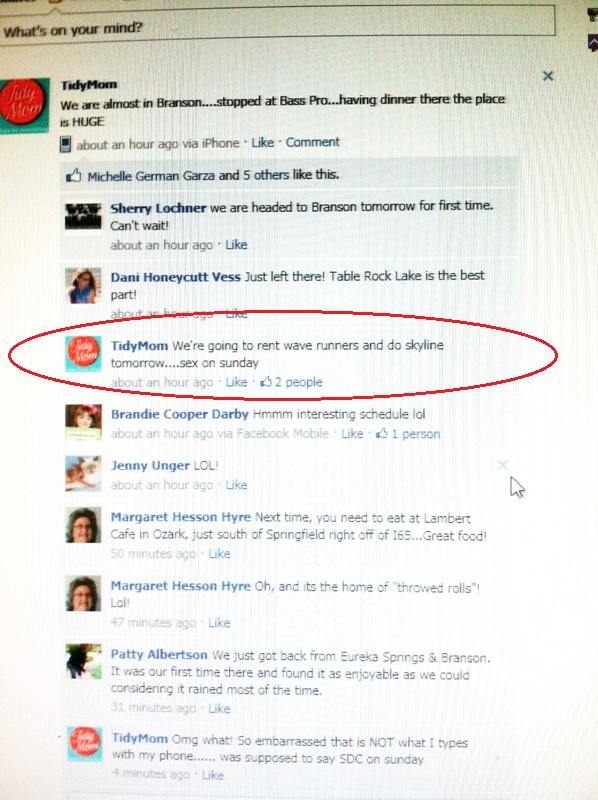 READ what’s typed before you hit send………..
because just when you *THINK* you typed and posted to Facebook a list of what you are doing like “SDC on Sunday” (meaning Silver Dollar City)……. 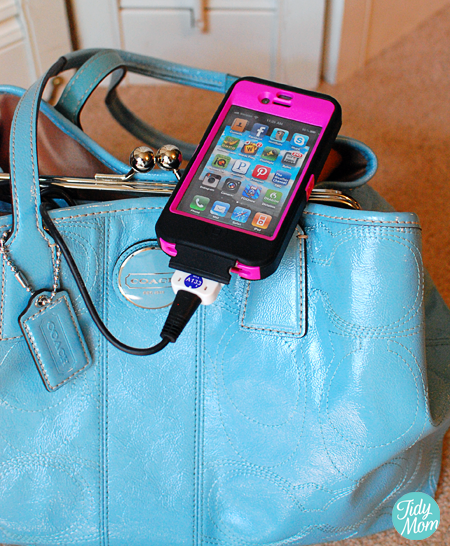 And last but not least………….my new favorite thing for both my iPhone AND my purse! I’m in LOOOVE with my iGo Charge Anywhere! As with most cell phones, I think we all worry about running out of battery, and worse yet running out when you have no access to electricity or a car charger. In the summer time especially………we’ll run to the pool, and I realized my phone is almost out of battery, or spend the day at Six Flags or on vacation taking lots of pictures, tweeting and facebooking will run my battery down in no time. 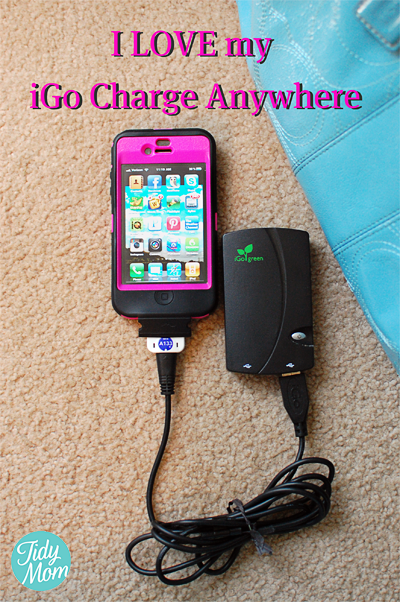 The iGo Charge Anywhere is a portable charger that you can carry with you so you will never have a dead battery again! Charge plugged and unplugged! During use as a wall charger, the internal battery recharges and is ready to provide power to your gadgets when away from outlets. Charge on the go, at the beach, on a boat, in the air – charge anywhere! The Charge Anywhere comes with a 6 foot USB cable and you purchase the tips that fit each of your devices, so you don’t need a new charger even if you get a new phone, just order a new tip. Small enough to fit in a purse or pocket. 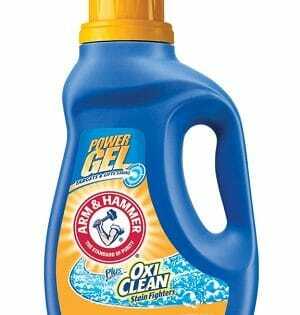 The iGo Charge Anywhere retails for $39.99 which includes 1 free tip when purchased online. This wall charger with an integrated battery provides peace of mind to deliver power anytime, anywhere! The iGo Charge Anywhere can provide up to three full charges to most mobile devices while away from an outlet before it needs to be replenished. Would you like a Charge Anywhere of your own? The fabulous people at iGo said I could give one charger (and tip) away to one lucky TidyMom Reader! Giveaway will end on July 7, 2011 at 5 pm CST. One winner with a valid entry will be selected at random using random.org. I will email the winners and they will have 48 hours to claim their prize or another winner will be selected. Contest open to Continental US residents only. following tidy mom on twitter! just started reading you on google reader too! thanks! oh and hey! cute bag! Well, I always forget my phone at home when I put it on the charger. WIth this puppy, I can charge when needed. Thanks. It would be helpful when the pnoe dies and your stuck. We bought this for a 2 week European vacation with a couple 8 hour flights. I plugged it in overnight and let my iPhone 4 discharge to 5%. I unplugged it from the wall and plugged it into my iPhone. It died with the iPhone at 70% charged. So you only get a 65% charge out of this $40 device. What exactly is the point of having 2 USB ports? So you can give a 32% charge to 2 devices? Worthless and a waste of money. We also bought a Yoobao that at least gave 1 full charge and has capacity left indicators. I’ve been using my iGo for over 8 months now and still LOVE it! I keep in in my purse at all times, and if I’m out and my phone is getting low I plug it in and and I’m good to go until I can get to a power source again. I love it and wont leave home with out it!